With the 1-1 against Real Madrid, the Leganés confirms his good work against the big ones in his stadium. Before the first six adds a victory (Barça) and five draws. Butarque is a chasm for the great. 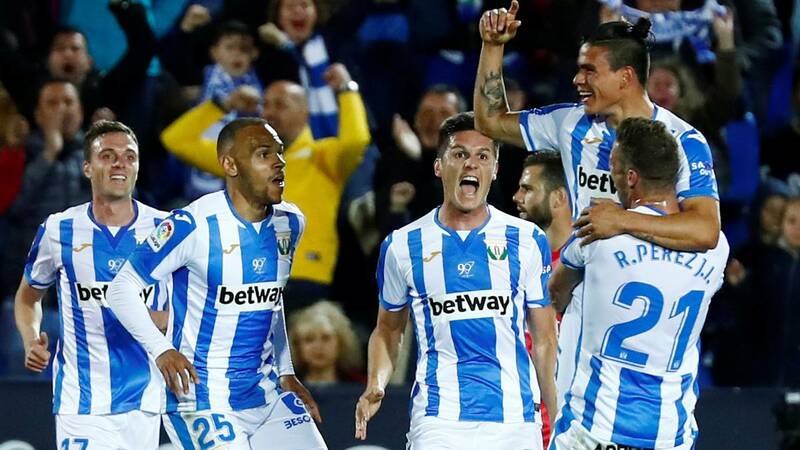 This season none of the giants of Spanish football has scratched the victory of the Leganés stadium. The data surprises: of the six first classified ones none managed to take three points of the house pepinera. In fact, only two teams have won in their Prairie and both are from the lower area of the table: Girona and Villarreal. But among the greats the formula of the fort works. The majority has been executed. The last to stumble in his domains has been Real Madrid unable to win in the league (1-1) but also in Cup (1-0) . At least in the regularity tournament they did not lose, as Barça did (2-1). Atlético de Madrid did not pass the tables either (1-1), like Sevilla (1-1), Getafe (1-1) and Valencia (1-1) . A rosary of draws before big ones that shows that This team has its main strength in their home, where has collected 28 of the 41 points that add, which allow you to continue dreaming of Europa. "The team has been competing well for some time. Sometimes it goes better, sometimes worse. The evolution of the team if we look with perspective is that we are doing better and better. We can generate and control the danger of the rivals, "Pellegrino said when asked about this potential before the big.
" It is a fact that You like them, journalists. You like statistics. In Butarque we are difficult to win and we show that we have been improving, that we are difficult to beat. We must continue like this, growing from humility and keep competing ", has supported his captain tonight, Unai Bustinza.